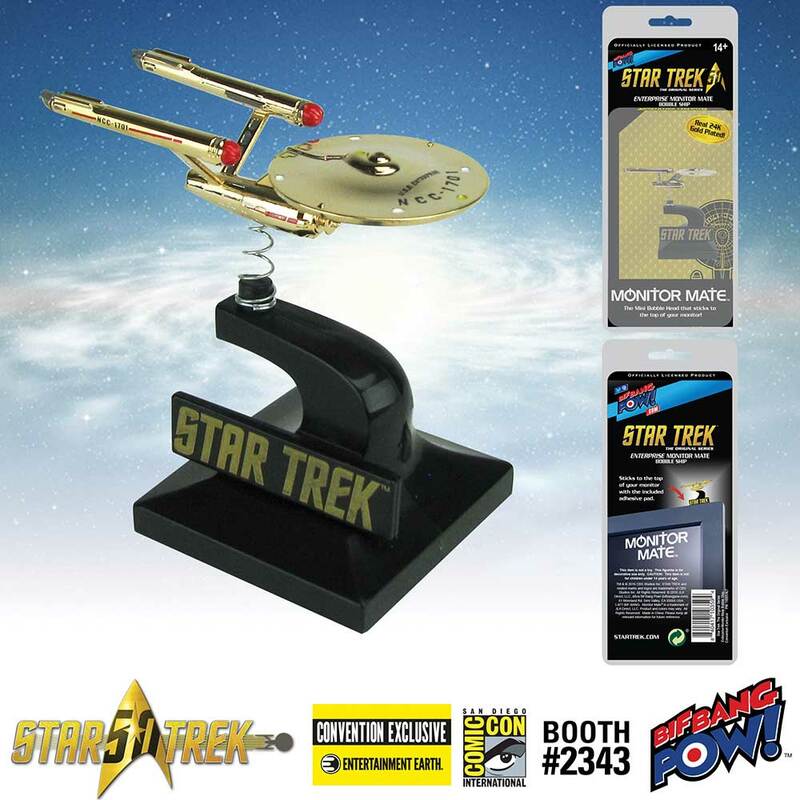 Celebrate the 50th anniversary of Star Trek at San Diego Comic-Con this year with the Star Trek: The Original Series 24K Gold Plated Enterprise Monitor Mate - Convention Exclusive from Bif Bang Pow! - only at the Entertainment Earth Booth #2343! This unique, one-of-a-kind U.S.S. 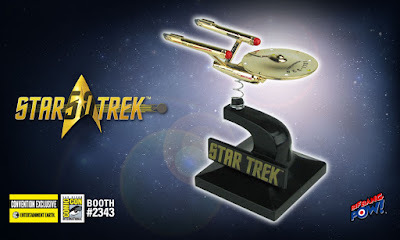 Enterprise NCC-1701 bobble ship is plated with real 24K gold and is spring loaded between the ship and the base, enabling the ship to bounce along on its next adventure. This deluxe monitor mate is limited to only 1260 pieces and measures 2 1/2-inches long and 2 1/2-inches tall. It also includes a non-damaging adhesive pad that sticks to your computer monitor or your car dashboard, giving you the extra support you might need to explore new frontiers. Plus, each limited edition Entertainment Earth Convention Exclusive is individually numbered with a holographic sticker. Ages 14 and up. The first opportunity fans will have to grab this limited edition Star Trek 50th anniversary exclusive will be at San Diego Comic-Con on July 20, 2016 in the Entertainment Earth booth (#2343)! 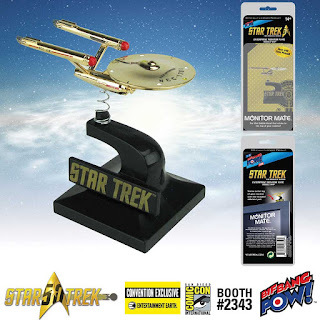 Shop all Star Trek collectibles from Bif Bang Pow! - only at Entertainment Earth.